I have given Etrian Odyssey, and similar grid-based dungeon crawlers a fleeting try in the past. They represented something I always wanted to be interested in. 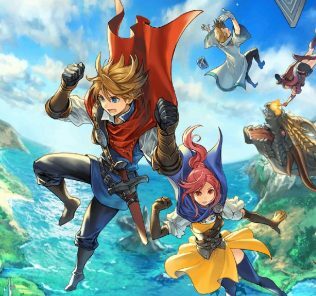 Deep and challenging turn based combat, puzzle solving, and exploring all sounded like they would be right up my alley. When I actually tried to play Etrian Odyssey though, I was instantly turned off by just how doggedly old-school it all felt. Before I had characters or story to care about or had an idea of the battle system, I was being forced to draw my own map from scratch. I couldn’t be bothered with all this manual labour, and so dropped Etrian Odyssey like a rock. I went into Persona Q knowing that it was very much an Etrian Odyssey style title, and as such quite worried that the unabashedly old-school RPG stylings of traditional dungeon crawlers would make this a chore for me to play. Only a year ago, I had found myself absolutely engrossed in Persona 4 though, and news that Persona 3 & 4’s characters were coming along for the ride piqued my interest. 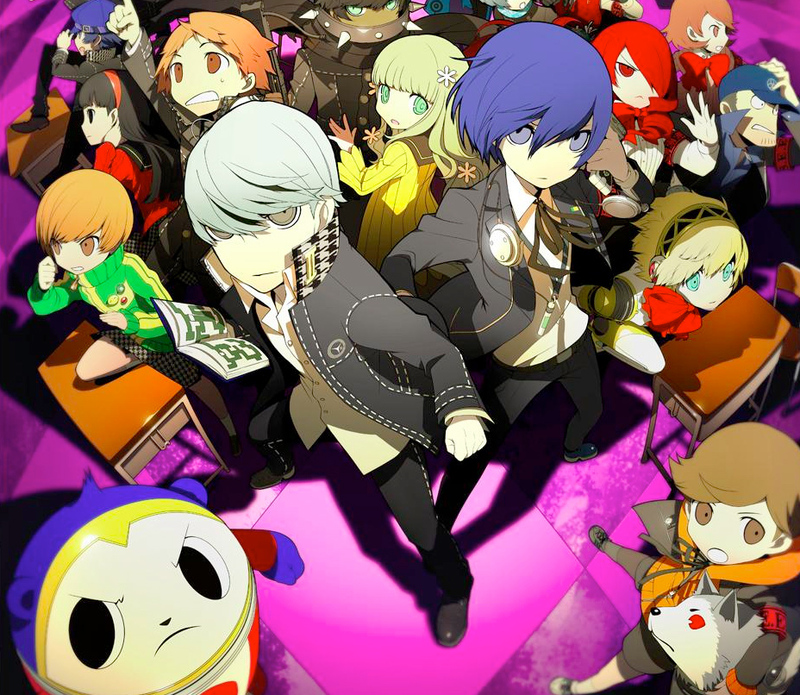 Through a combination of user friendly changes to mapping and a huge cast of familiar characters, Persona Q rose above my fears of an unfriendly genre and proved to be a fantastic gateway into the old-style dungeon crawler. The bulk of Persona Q will be spent in it’s grid based dungeons, finding a way through perilous mazes, solving puzzles and avoiding enemies. The exploration is particularly interesting. Unlike most games, your map is not automatically filled in as you explore. 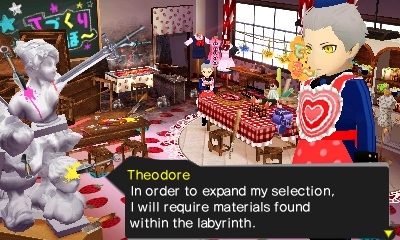 In Persona Q, as in Etrian Odyssey before it, you must use the touch screen of the 3DS to draw your own map. Filling in walls, noting down points of interest to check later, marking shortcut and stairway locations, it’s all up to you. Some concessions are made, thankfully, to help prevent mistakes on your map. Walls within view are tentatively filled in on the bottom screen, and points of interest will have a subtle glow on the map. Both of these can be made permanent through the map drawing tools, and this helps to make sure you don’t misjudge distances. Exploring thoroughly and mapping well is definitely worth your time too, since you’ll more than likely need to go back through dungeon levels more than once, and you can be rewarded with nice gear or other bonuses. Maps will serve you well to avoid battles with F.O.E.s as well, boss-level enemies that are visible on the map and patrol around. You really don’t want to run into those guys. Persona Q’s turn based combat system is well done too, and should seem familiar in ways to players of both the Etrian Odyssey and Persona games. Formations, binds and other elements are borrowed from Odyssey’s combat, while the elemental weaknesses and Persona assignment mechanics tag along from the Persona series. These personas allow for great versatility in how you set up your team. The personas that can be assigned to each party member will diversify their available skills, but to get newer and more powerful personas you must fuse the ones you have. A reliable team of personas rarely stays reliable for long, and so you will need to fuse the personas you rely on in order to create newer and potentially more powerful supporters. This forces you to adapt to changing strategies, and prevents combat from ever becoming stale. Elemental weaknesses don’t work in quite the same way as in previous Persona titles. Rather than allowing the character who inflicted critical damage an extra turn, they will enter a Boost state after a successful critical hit. In Boost mode, the character will make their move first when the next turn starts, and they will be able to use any of their special abilities without incurring an HP or SP hit. This can be incredibly useful and even essential in some cases. Learning to inflict a critical hit with a low-cost attack, then using Boost to get a free high-cost attack will likely become a regular strategy in your battles, and it’s immensely satisfying to pull off when you manage it. Boost is hardly an instant-win move though. Boost status is lost if a character is hit by an attack before the next turn, and some opponents take huge advantage of this which forces you to diversify your strategy to keep the Boost status, or use another plan altogether. The game’s visual style is unapologetically Persona. Boldly coloured and defined characters explore a densely decorated and colourful world, full of interestingly designed enemies that will be familiar to players of the Shin Megami Tensei series. 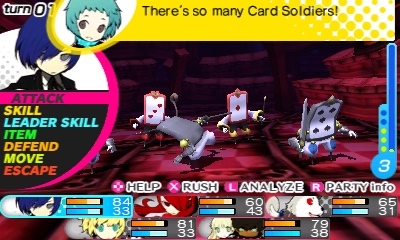 Technically, Persona Q is one of the best looking games on 3DS, with some gorgeously complex enemy designs. Some might feel that the bold lines and splashes of colour seem garish, but this reviewer can’t get enough of the style Persona Q exudes. 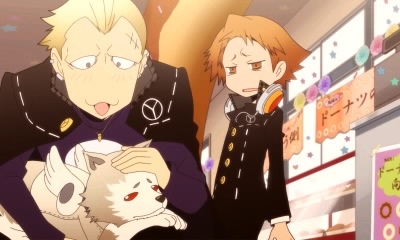 Similarly, the music featured throughout Persona Q riffs from the style of Persona 3 and 4, mixing entirely new themes and remixes of existing pieces. 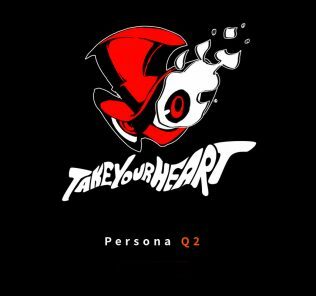 If you enjoyed the soundtracks of Persona 3 & 4 (they were really very good) then it’s a certainty that you’ll find yourself humming and bopping along to Persona Q’s energetic beats. 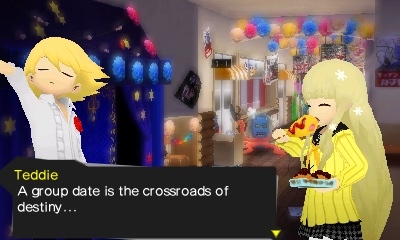 I feel that the best praise I can give to Persona Q, is that it won me over. I’ll admit I am a rabid fan of Persona 4, so that helped, but Etrian Odyssey always felt like that one step too far into archaic and overly fiddly RPG territory that I just couldn’t commit to. The inclusion of characters I grew to love, a few concessions to the fiddly mapping, gorgeous visuals and some of the most catchy music I’ve heard in a videogame, Persona Q has me converted and now I just can’t get enough of exploring these dungeons and playing around with the combat system. 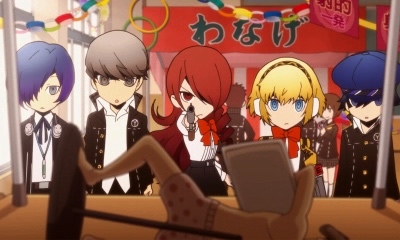 If you’re someone who has enjoyed Persona 3 or 4, Persona Q is absolutely worth a try. It’s a fantastic gateway into the wonderful world of dungeon crawling. Software developer, podcaster, writer and player of video games. Is that a Catherine reference I see in that first screenshot??? Most definitely is! Brought a smile to my face when I saw that cut scene. 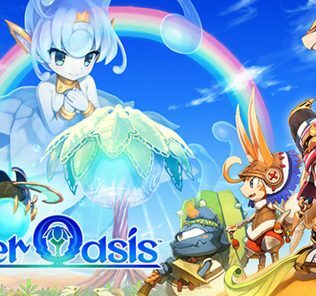 I dropped review like a rock after reviewer said they dropped Etrian Odyssey like a rock. 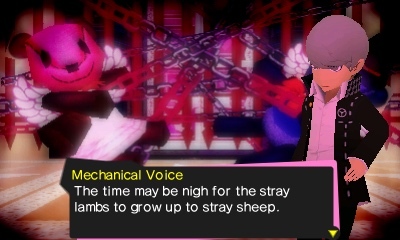 They’ve referenced Catherine a couple times in the Persona 3 Portable PSP/Vita version too.